The below article explains the various features of your Account Management portal. If you would like to watch a quick walkthrough of how to use your console, check out our Account Management Console Walkthrough, or contact your Account Manager. 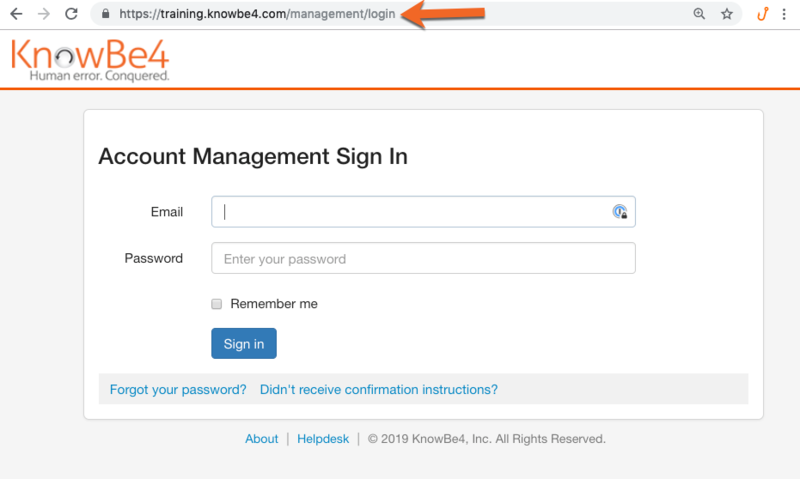 You can log in to your account management portal to view your managed accounts at https://training.knowbe4.com/management or https://eu.knowbe4.com/management, depending on where your account is located. For more information on getting started with your account management portal, click here to read our Getting Started Guide. When you get a new managed account, you will need to add the account to your list of existing accounts by clicking the + New Account button. For more details on how to do this, check out our article: How to Create a New Account. 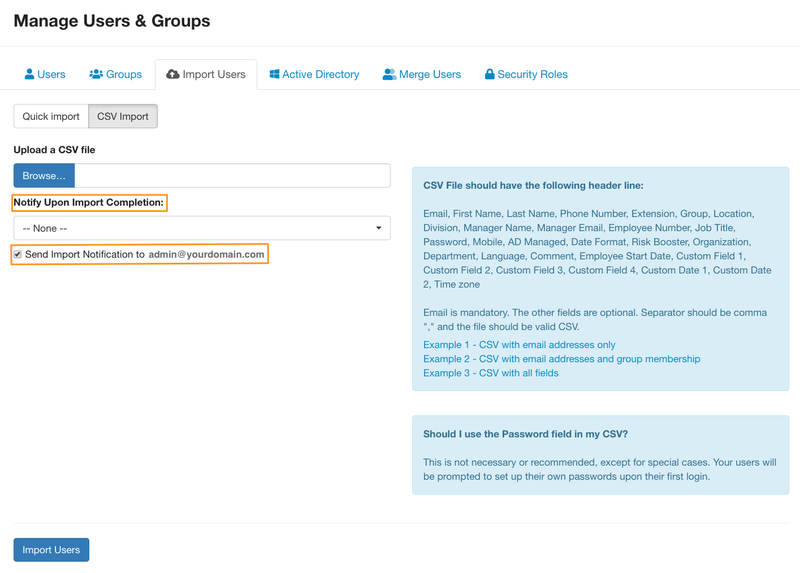 You can configure SAML for your Account Management portal so that our users can automatically sign in. To learn how you can do this read our article How to Enable SAML on Your Account Management Console. You might need to make changes to your existing accounts, such as turning on MFA or editing account information. This can be done from the Accounts tab of your Account Management portal. For details on how to manage existing accounts, please see our article: How to Manage Existing Accounts. You can bulk import all the users on a managed account at once by using our Import feature. For details on how to do this check out this article: How to Import Users. You can create your own custom email templates for each of your managed accounts. For more information, check out this article: How to Manage Email Templates. You can create your own custom landing pages for each of your managed accounts. For more information, check out this article: How to Manage Landing Pages. You can export phishing templates and landing pages you've created so that you can import them to other customer accounts. To learn how to do this, check out this article: Importing and Exporting Phishing Templates and Landing Pages. From the Admins tab of your account management portal, you can grant administrator rights to additional users at your organization to assist you with managing your client accounts. The main admin on the account management portal is the only person who can grant additional administrator rights to other users. 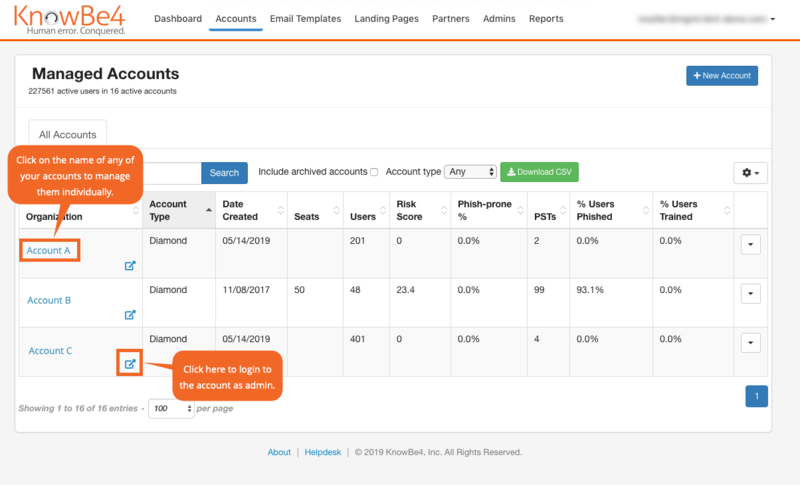 To learn how to add another admin to your account management portal, check out this article: How to Add More Admins to Your Account Management Portal.